I finally took some time to write a blog post on Software Evolution that I wanted to write for a long time. In short, if we step back and look at the evolution of the software application architecture over the last 20 years, based on these two core characteristics, we can plot the journey of the quest for the perfect Software application model on a decreasing sinusoid depicting five generations, as shown here. With all due respect, and I have some for your very early TechCrunch days, your new post on your ex-blog about how bored you have become made me chuckle. Not surprisingly, you have not changed from your tech media mogul days, when you were lecturing the media industry about what was or was not ethical and how real tech journalism should be done, while many could have easily returned the favor if they had a chance or a voice. Over the last three years, I have been very busy building a HTML5 focused consulting business in San Francisco, BriteSnow, Inc. The welcome post says it all: we build high-end Enterprise and Social HTML5 applications; we are obsessed with speed and quality of delivery; we have created a very agile and modern development process and architecture approach; and, best of all, we give all the keys to our clients by transferring our HTML5 expertise to their internal teams and allowing them to stop, pause, and resume the engagement on a one-day notice (in other words, literally zero lock-in). Beside of all this, the one thing that sets us apart from others is our passion for all of the details surrounding all aspects of an application experience, from server and cloud architecture to UI responsiveness and HTML5 optimization. We are convinced that HTML is the technology of the future for a large majority of applications from a business as well as a technical point of view. And the thing we discovered during this three years is that with the right architectural approach, building advanced HTML5 applications for PCs, mobile devices, and tablets can be as efficient and scalable as creating desktop or native type of applications. 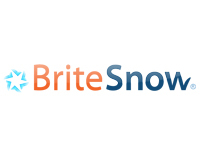 To accomplish this vision, we created two open source technologies, Snow, which is a Java lightweight server framework based on Google Guice, and brite, an lightweight and DOM Centric HTML5 MVC framework based on jQuery. Both of these technologies are completely free, fully open source (Apache V2 for Snow and MIT for Brite), and are designed to build high-end modern applications using the best of Java on the server, and the best of HTML5 on the client. Twitter, Facebook, or Google Plus. Louis Gray wrote a nice post today about his new home, Google Chrome. He describes how he lives in one (actually two) browser(s) all day long without the need for a traditional software application. There is no doubt that Cloud-based applications is where the growth is, or that Google is currently the most advanced provider of horizontal productivity Cloud-based applications, and that for some users this is plenty enough. The bigger question is this: Are browser-only applications the future of applications? In other words, 20 years from now, will all applications live within a browser? Will Native applications be relegated to legacy applications? I am not sure if Randall Stephenson, CEO of AT&T, was misinformed, dishonest, or just carried away with his new crusade when he tried to explain why T-Mobile’s acquisition by AT&T will be good for consumers, but he is obviously not a T-Mobile consumer who really knows what he is talking about. This acquisition cannot be good for the consumer, no matter what spin an executive or lobbyist can come up with. I truly hope that the FCC will not swallow all the lies and spin that these guys will tell them over the coming months. If you are a T-Mobile consumer, here are three things that will happen over time (and yes, the carry-over deal is just a gimmick, as I will explain later). We’ve received word that, in an unusually honest and brave move from a big corporation, Adobe is going to announce that they will officially deprecate Flash in favor of HTML5 for rich Web and mobile experiences. How did the Internet work before cloud computing existed? And, where does cloud computing come from? 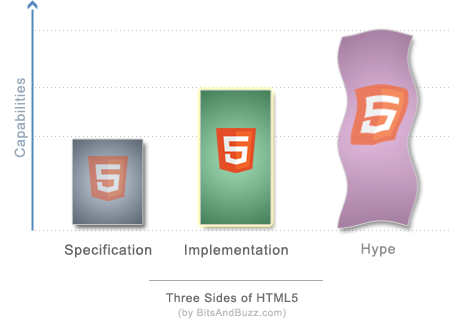 The Three Sides of HTML5, and the Only One That Matters. Over the last 12 months, there has been a tremendous amount of buzz about HTML5, and like everything that gets buzz, some good and some bad are coming out of it. On the good side, the industry is now unanimously agreeing that HTML is a technology of the future and not a legacy one, and there is an amazing competitiveness among its implementers (Mozilla, Google, Apple, and Microsoft). The bad side is that lots of people tend to misinterpret what HTML5 really is, and this confusion is a great source for its detractors to spread FUD around it. To make sense out of this chaos, it helps to know that HTML5 can be split into three façades, and depending of which you pick, you will have a different appreciation of its readiness and potential. Mobile App vs. Mobile Web; Will the Web win again? It has been interesting to see how the mobile market unilaterally went the “local-application” way, while the PC market had moved away from it a decade ago. Skype was probably the last new desktop application to be adopted by the masses.